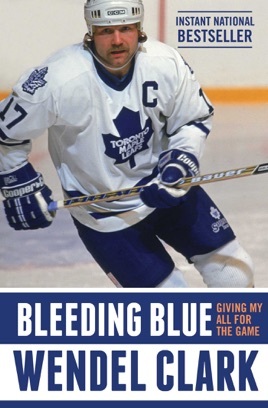 There are two types of ache in hockey player Clark's play-by-play memoir: the physical kind, which kept him off the ice far too often during his career, and the ones that longtime fans of the Toronto Maple Leafs (the "blue" of the title) continue to feel as the team hunts for its first championship since 1967. Clark, the 17th Leafs captain, who retired in 2000 when he was only 33, is open about his health: "As an athlete, your body is supposed to serve you. When it rebels, like mine was doing, each outburst takes longer and longer to put down and get over." But when it comes to discussing his teammates and management, the normally truculent winger pulls his punches, speaking badly of no one. The best insights come as he recounts his education in the game, graduating from frigid arenas in small-town Saskatchewan to the NHL and representing Canada in international competition. Hockey fans will savor wisdom from NHL coaches such as Pat Burns, who taught him "that I didn't have to do it all in a single shift," and Glen Sather, who predicted that Clark was "not going to last" playing his style of crash-bang hockey.